Portland’s original bottleshop and beer bar is hitting the ripe old age of 20. Nearly drinking age. They’re celebrating with a 20/20 theme…20 days of events for 20 years, April 1-20. The fun gets started on Saturday, April 1, at the Horse Brass, where Belmont Station got its start in 1997. The Brass will have a collection of special beers on tap when it opens at 11 a.m. Some of those beers will have been made with help from Belmont Station staff. Fancy that. Guests ought to have a decent buzz going by 1 p.m., when they will march up 45th Street to the current location. There will be several bottle releases and more special beers on tap. The parade will include noisemakers, bubbles, signage and typical parade fare, though no floats. The weekend of April 14-16 is mini-Bigger Badder Blacker fest, featuring a Deschutes night with an Abyss variant, Black Butte 25-28 and a vintage bottle sale, plus other offerings through the weekend from Ninkasi, Fort George and more. Next up is the annual Samuel Smith's Salute on Tuesday, April 18. Tom Bowers of Merchant du Vin will showcase the iconic brewery and its place in modern craft beer culture. There will be bottles pouring at the bar and Tom will lead the annual Samuel Smith salute during the course of the evening. The party finishes up on April 20, with Lagunitas tapping Waldo Special Ale at 4:19 p.m. (so it can be in your glass at 4:20). Sixpoint will contribute their Puff to the party (including Puff rolling papers) and Laurelwood will have a special 4/20-themed IPA. Old-timers will recall that Belmont Station was the only place of its kind when it opened next to the Horse Brass. Campbell and Younger launched the small store largely because Horse Brass patrons kept asking to purchase imported beers and other specialty items. They caved. They stocked some 400 bottles in those days. It’s hard to fathom given present circumstances, but each bottle was displayed with a price tag. The actual beer was stored in large walk-in coolers. Customers would jot down a list of what they wanted and give it to the clerk, who would round up the beers. The beer selection has exploded, obviously. 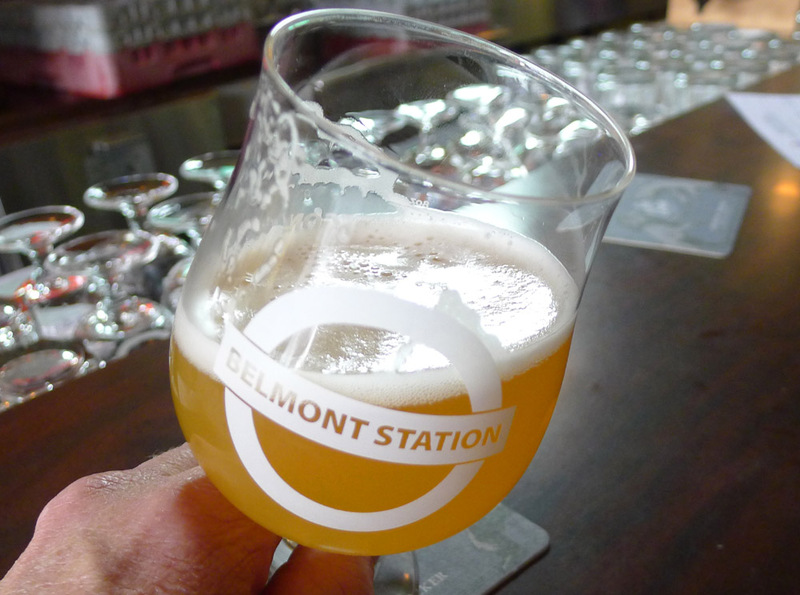 Modern Belmont Station carries some 1,500 beers, ciders and meads in bottles and cans, and also features 23 rotating taps pouring some of the best beer in the city. It’s a Cheers bar for many locals (myself included), as well as a destination for tourists. Belmont Station is generally regarded as the best bottleshop and beer bar in Portland. They were again recognized at the Oregon Beer Awards as our Best Beer Bar and Bottleshop. But Morrison takes the high road. Keep in mind that many of the events happening during the 20/20 festival are still being finalized. Check the Belmont Station website for updated details as the celebration gets closer.